Did you know that Christmas is only SIX weeks away? That means it's time to start getting your Christmas decor ideas pinned and the craft materials to make it all... and it's probably a good time to start buying Christmas gifts for the one's you love while you're at it! 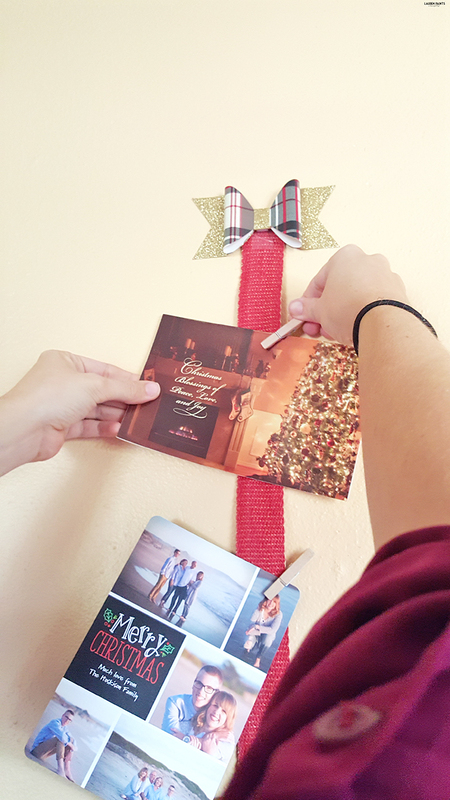 I cant wait to share all kinds of awesome gift ideas over the next few weeks in my Holiday Gift Guide, but today I want to share how I'm decorating for Christmas and how I'm using the holiday cards I've received in the mail as cute Christmas Decor this year! 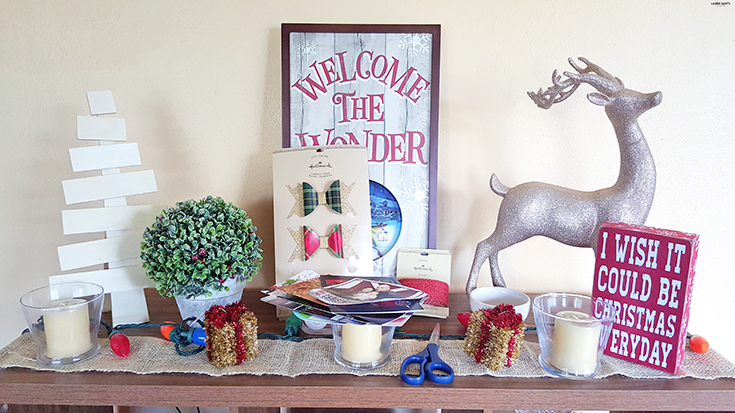 I was shopping at Hallmark for decor inspiration, they always have the cutest items so it's easy for me to find pieces that I want to center my whole holiday decor around and this year I found so many amazing and adorable ways to decorate for the holidays, I had trouble deciding what I wanted to do in our entry way. I had a handful of mugs and some adorable cake plates in my hands at first but then I decided I wanted to get those items later when it's time to decorate the kitchen. Then, I had a caboodle of stuffed animals and itty bitty's but that just didn't feel right. 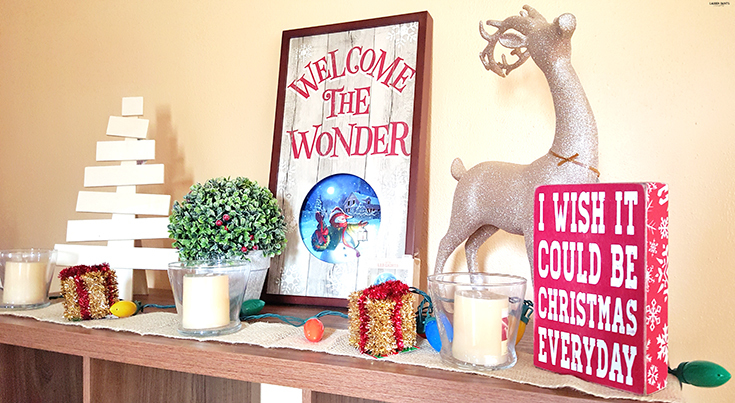 Finally, I decided I wanted to keep things simple and do something that involved a modern take on rustic decor and it was all inspired by the Welcome the Wonder Enchanted Art Decoration! 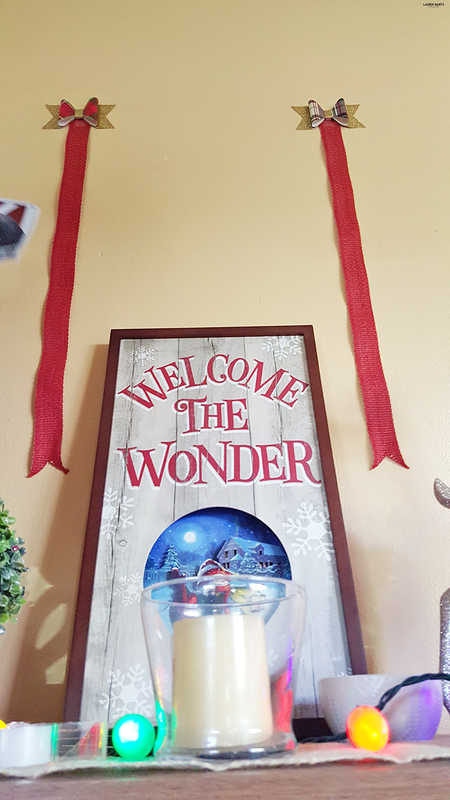 With an adorable little snow man in the center of a winter wonderland, I wanted to bring some of that "chilly goodness" into my Florida home and I'm so glad I did. With so many locations nearby me, I'm always stopping in to Hallmark, and I constantly find cute stuff that inspires me, but I'm really proud of the way my house is decorated this year... it's just too cute! 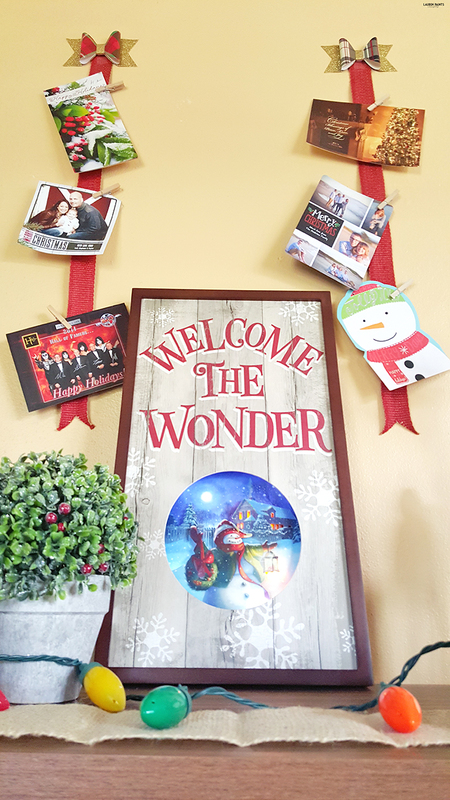 The way the cards from my family members hang and the adorable bow accents centered around the most wonderful sign, I'm just so excited for Christmas I can't stand it! 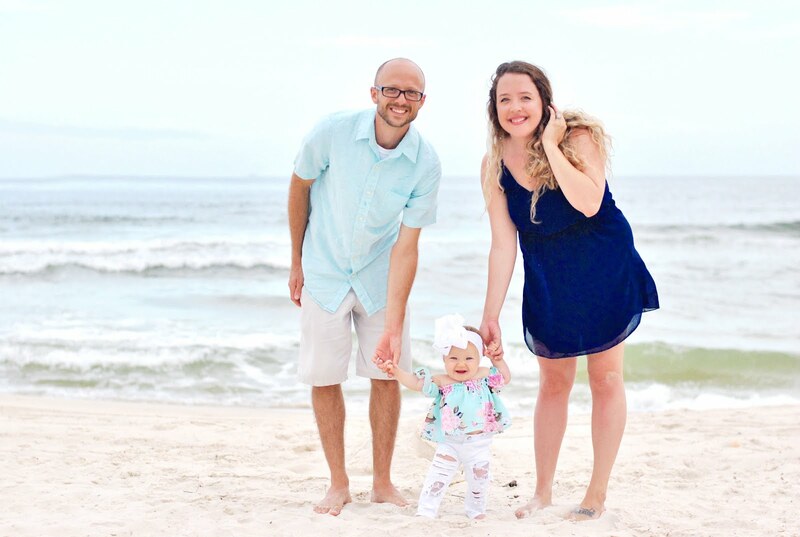 I'm waiting for more Christmas cards to roll in and I can't wait to see more of our family and friends smiling at us when we walk in our front door! Do you want to have the same little set up? I can't wait to help you make this super simple craft! It's easy to make a card display like mine! 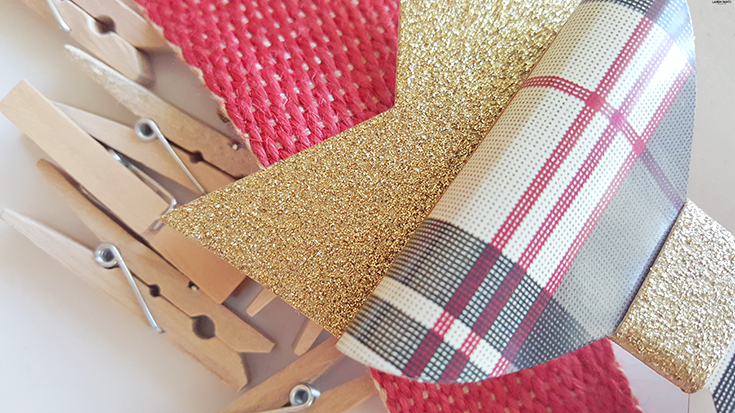 Make a trip to Hallmark for red burlap ribbon, tape, and the most adorable pre-made Christmas bows! Don't forget to grab one of the adorable Enchanted Art pieces or some of the cutest sweater covered mugs you've ever seen... and as I mentioned, gifts are always a good idea while out shopping for craft supplies so grab some holiday cards to send out or a candle or two from the Crafters & Co line while you're at Hallmark! If you want you can watch the video above for a visual tutorial or I've included the step by step process in text/photos below! Once you have the supplies, you'll begin by cutting two pieces of the red burlap ribbon to equal lengths. 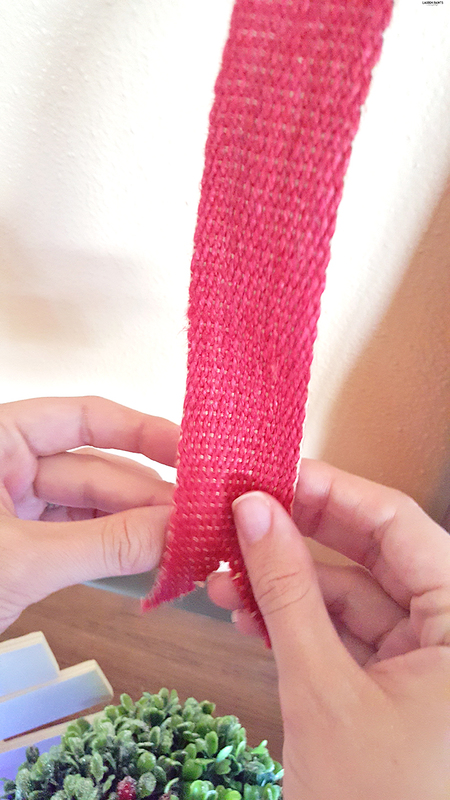 Then cut out a small triangle on ONE end of each of the pieces of ribbon. 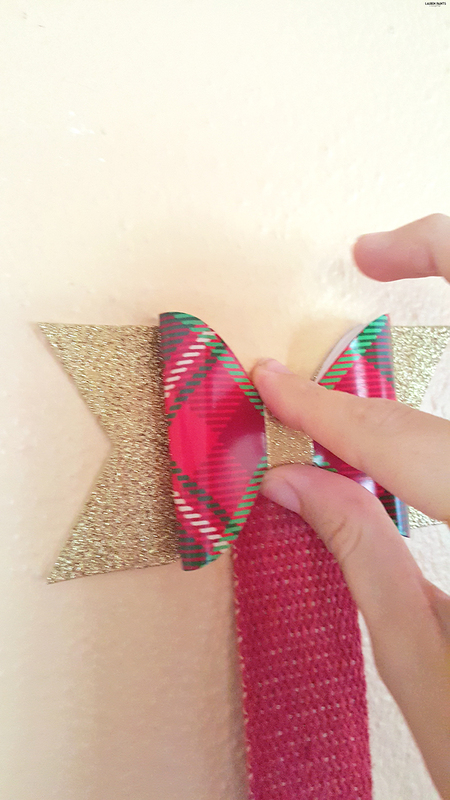 Tape the ribbon to the wall, with one piece at the top and one piece folded into a tube and taped onto the back. 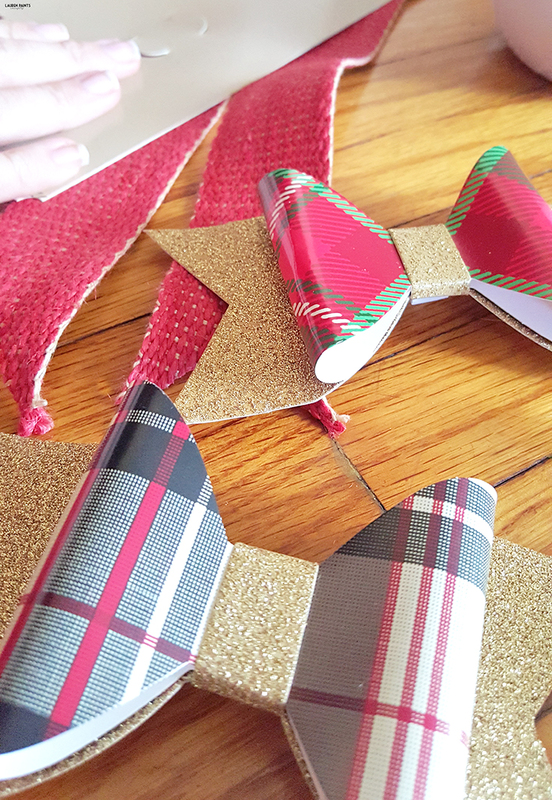 Take off the sticky part of the pre-made bows and press them gently on top of the piece of tape at the top of the ribbon. Place cards onto the ribbon with tiny clothespins, paperclips, or even a piece of tape. 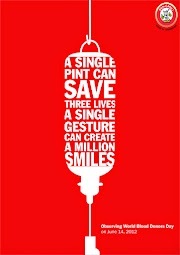 Now show off all the love you've been sent and smile in delight! 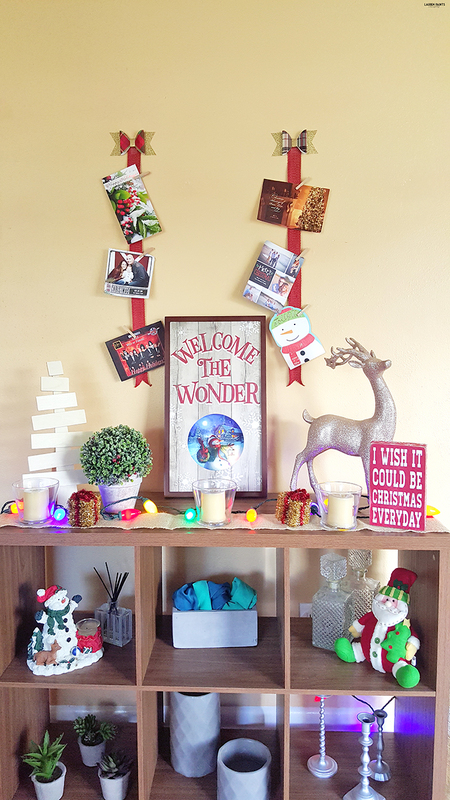 With the Welcome the Wonder Enchanted Art sign and the simple little craft I made, as well as a plain wooden Christmas tree, a bright golden deer, a little bit of burlap, some christmas lights, a few candles, a couple of gold glittery gift tags, and a plant or two - I think my entry way looks just spirited enough and perfectly rustic with a modern twist. 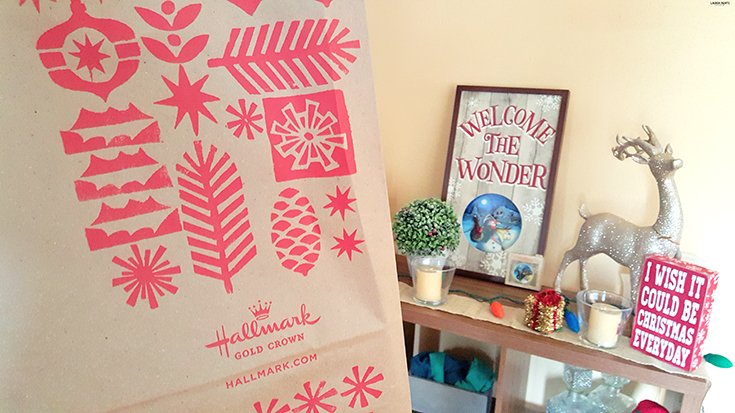 So tell me, have you been into Hallmark yet this season? They have SO many amazing items, I'm certain you'll fall in love - go ahead and check out the site and let me know which item is your favorite! 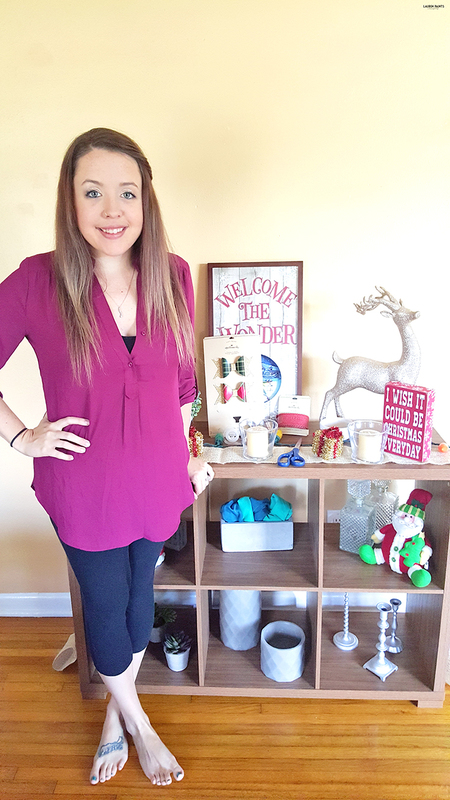 As I said, I can't wait to share some awesome gift ideas over the next month in my holiday gift guide - make sure to subscribe to my social media channels so you can stay in the know on upcoming giveaways for all kinds of companies over the holidays!